Written by Fete Organisers on 30 June 2013 . After a break last year the 2013 Forncett Village Fete was held at the Village Hall and Jubilee Green on Saturday June 29th 2013, the first to be held at the Village Hall, with its adjacent recently named 'Jubilee Green' and the general opinion seems to be that it was a great success! It gave us the Village Hall close at hand for power, refreshment and 'other facilities', and the Tas Well bar was able to operate very conveniently from the corner of the Hall nearest the field. We were favoured with perfect weather and an excellent turnout of visitors (estimated 100 cars parked at one time, as well as many cyclists and pedestrians). It all added up to make a great Village occasion! Update 20th July: With income and expenditure now totalled, the Organising Committee have declared the total profits (subject to any very late expense claims) to be £2347.05, meaning that each of three groups (Village Hall, School and Little Tractors Playgroup) will receive £782.35 for their funds. Thank you, everybody, once again! A truly fantastic result! Written by Administrator on 23 June 2013 . Christina Wakeford and Cynthia Finlayson opened their gardens for charity under the National Gardens Scheme on Sunday 23rd June 2013. The weather, though not perfect, provided much sunshine as well as the occasional shower and there was an excellent turnout of visitors. A goodly sum was raised for NGS charities as well as a more modest sum from the tea tent run by the Diggers & Dibblers team which will be donated to the Forncett Village Hall fund. Written by Brian Frith on 07 April 2013 . We have just heard that Forncett has won one of the £250 prizes for participating in the Litter Pick. The prize money must be used for 'The Community'. Those who helped with the Litter Pick have been asked for ideas - the final decision will be made by the Parish Council as the Litter Pick was done 'in their name'. The prize is an extra bonus - in addition to the benefits of a cleaner village and some excellent Community work! Wonderful! 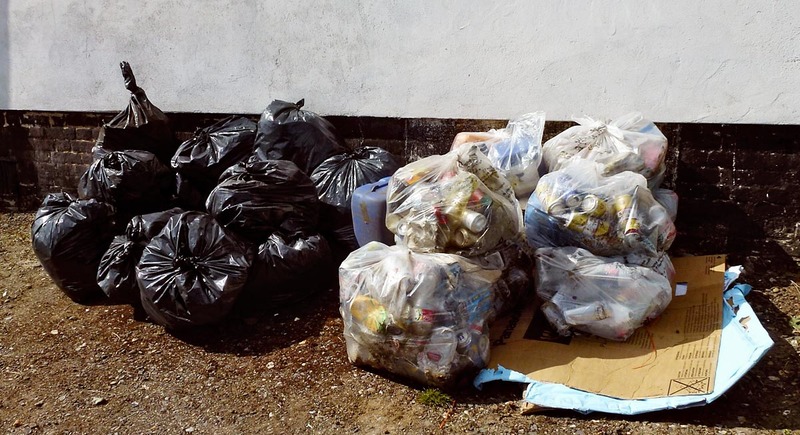 22 bulging bags of rubbish collected! Written by Su Leavesley on 11 June 2012 . And how we celebrated! It rained; it was cold; but if the Queen could stand it on that boat (sorry, barge) on the Thames, then who are we to grumble? Painted by the children of Forncett School, this banner was the centre piece of the party at the school on Friday. All the children were dressed in their royal-most clothing, and there were six Busby-wearing gentlemen to guard the ‘Queen’ and her close family. Several of the children performed songs, dances and jokes to entertain and delight the parents, guests, teachers and staff.